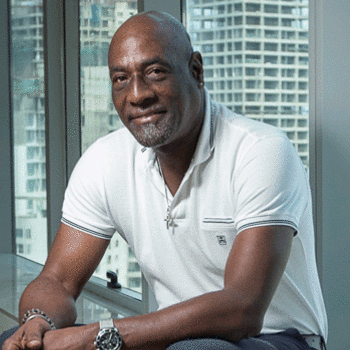 When it comes to legends of cricket, and sport in general, Sir Viv is at the top of the game. Captaining the West Indies through the most successful run in their 120-year Test history, he remains one of only four non-English cricketers to have scored 100 first-class centuries and was voted Wisden Cricketers’ greatest ODI batsman of all time. As a batsman there is no questioning Sir Viv’s legacy as a true great having amassed 8,540 runs in 121 Test appearances with an average of 50.23. He also scored 6,700 runs in 187 ODI appearances and more than 36,000 runs in 507 first-class cricket appearances with Somerset and Glamorgan County Cricket Clubs. Sir Viv prefers to join clients in a Q and A format and there is no better host to field the questions to Sir Viv than BBC Test Match Special summariser, broadcaster and journalist Simon Hughes. However, there are plenty of other facilitators we can team Sir Viv up with.